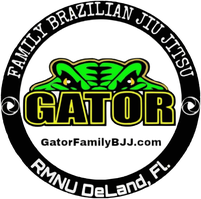 Kickboxing - Gator Family Brazilian Jiu-Jitsu, DeLand Fl. Tired of just punching a bag? Learn technical Muay Thai Kickboxing in a fun atmosphere. Work one on one with a partner at your own pace. Want to get in the ring? Our program will put you on the track to becoming a champion.